inclut GRATUITEMENT la version MP3 de cet album. 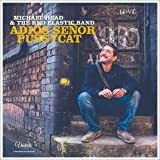 Uniquement pour les albums vendus par Amazon EU Sarl, hors cadeaux. Voir Conditions pour plus d'informations, notamment sur les coûts de la version MP3 en cas d'annulation de commande. Passez cette commande pour sauvegarder la version numérique de cet album dans votre bibliothèque Amazon Music. Vendu par Amazon EU S.à r.l. A télécharger immédiatement en MP3 pour EUR 9,99. Écoutez Laugh…..Plus! par Terry Hall et des dizaines de millions d'autres titres sur tous vos appareils avec Amazon Music Unlimited. 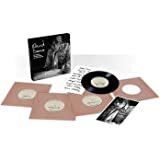 2009 expanded reissue of the former Specials vocalist's second solo album featuring eight bonus tracks. Since the break-up of the Specials in 1983, Terry Hall has issued records as a member of the Fun Boy Three, the Colourfield, Terry, Blair & Anouchka and Vegas as well as releasing three solo albums. 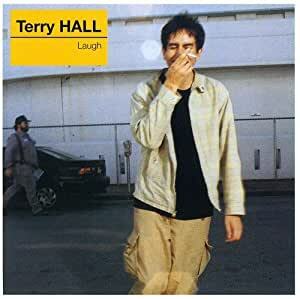 This is Terry's second solo album, originally released in 1997. The eight bonus tracks (the b-sides of the singles) include Terry's renditions of John Lennon's 'Working Class Hero', Bacharach & David's 'Close to You' and Andy Williams' 'Music to Watch Girls By' as well as an interview with Radio 1's Mary Ann Hobbs. Another great and super under rated lp from one of rock's great characters. 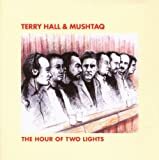 If you like Terry's other lps and bands,you'll certainly like this one as well. Now where is the release ,on video ,of Terry with the Fun Boy Three on Rockpalast? One of the greatest Rockpalasts of all time from Terry's super short lived but totally great 2nd band!